August to March is the best time for road trips on bikes in North India. Delhi, the national capital of India, is at crossroads of weekend getaways for bikers. 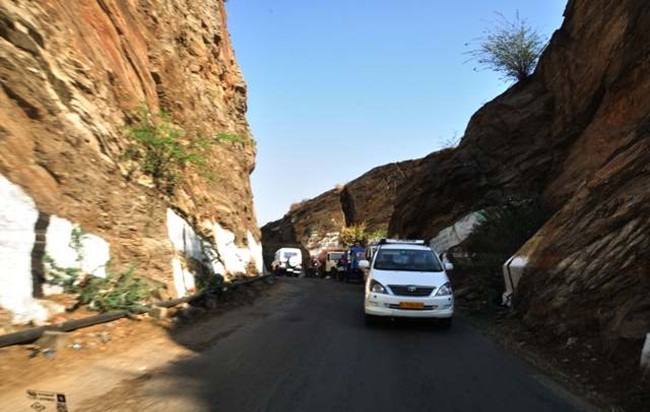 Weekend road trips from Delhi are adrenalin-pumping adventure drives for biking enthusiasts. 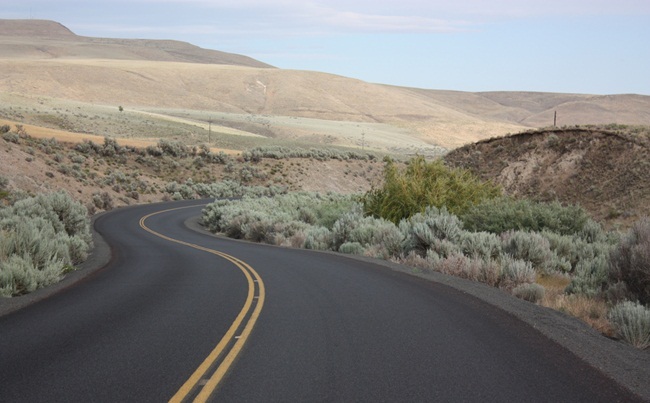 Some road trips from Delhi run along highways; some run through zigzags in valleys and mountains; some run by beautiful rivers or shimmering streams; some run crisscrossing barren landscapes, while some run through green corridors at escalating altitudes. Some roads for bike trips from Delhi are motorable, while some are precarious throwing challenge to road trippers. You can soak in the natural beauty of India hanging over concrete highways, sandy trails, and mountainous passes. 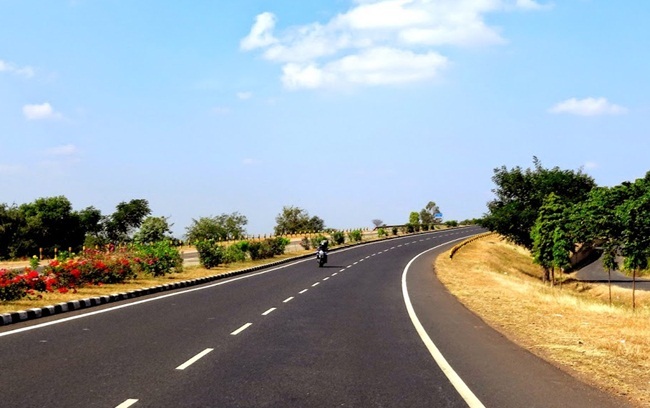 Indian Eagle lists the best road trips from Delhi for bikers. 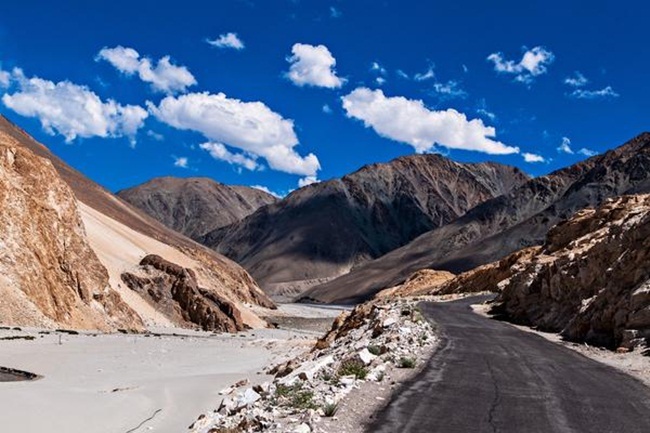 Driving to Ladakh at an altitude of 13,000 feet is one of the most coveted road trips from Delhi. Riding a Royal Enfield for a whopping 1800km of round trip is not for the fainthearted. A road trip to Ladakh is full of adventure making it an inspirational story of courage, passion and obsession for the aspiring road trippers. If you are not a seasoned biker, Ladakh road trip may end up being far from euphoria. Don’t let it disappoint you. There are not-so-adventurous weekend road trips from Delhi for you, too. The road from Delhi to Dehradun and Mussoorie is poor, but what makes this road trip a must have for bikers is the breathtaking sightseeing. 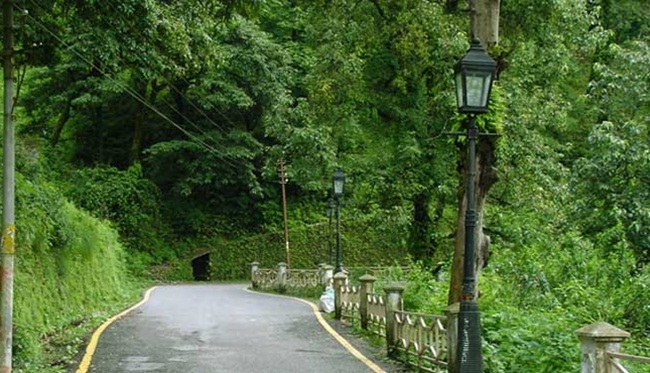 Dehradun and Mussoorie are the nearest hill stations from Delhi, in the Himalayan region. It is a 6-hr drive from Delhi to Dehradun, and driving to the hilltop of Mussoorie takes another 1.5 hours. Do halt at Cheetal Grand, a roadside eatery, to fuel your body with Indian or western food during your road trip to Dehradun. Jaipur is on every biker’s list of top 10 road trips from Delhi. India’s Pink City is an exciting 6-hr biking trip. It is worth a long drive from Delhi for several reasons including tourist attractions and Rajasthani food. 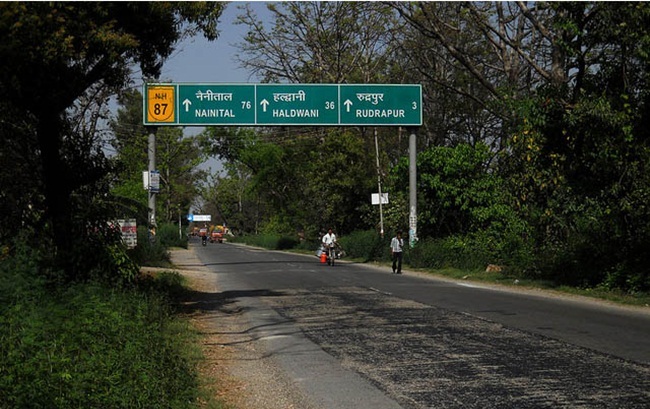 The Delhi – Jaipur Highway is a part of the Golden Quadrilateral project. October to March is the best time for a road trip to Jaipur. Needless to say why driving to Agra is one of the best weekend road trips from Delhi. 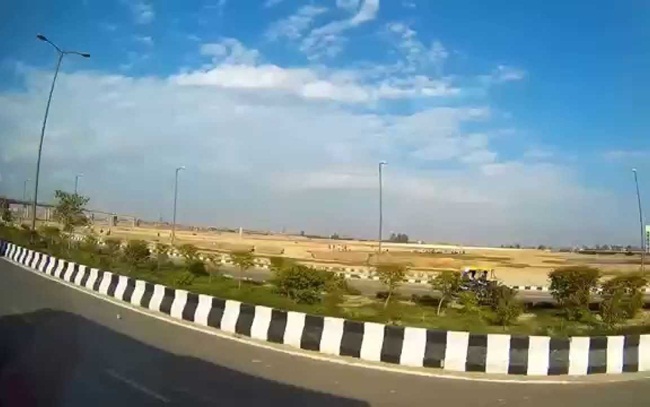 Driving a bike or car on the newly built Yamuna Expressway to the city of Taj Mahal is an inexplicable experience, which India’s fastest train from Delhi to Agra falls short of. The mouthwatering taste of Agra’s street food and the mind-blowing beauty of the Taj Mahal add to the joy of road trips to Agra. Bharatpur is a small town on the Agra-Jaipur Highway and famous for the Bharatpur bird sanctuary. Driving to Bharatpur is a fancy ride across vast sandy landscape. The entrance of the sanctuary looks abandoned, but the interior will mesmerize you the more you will explore. October to February is the best time for a road trip to Bharatpur because the sanctuary welcomes beautiful migratory birds during this period. Rishikesh is a must visit for not only pilgrimage, yoga and meditation but also adventure. One of the holiest places in India, Rishikesh offers toast of adventure in form of river rafting, trekking and hiking. Evidently, adventure-loving bikers must hit the road to Rishikesh from Delhi at any time of the year and that is because of pleasant weather. Dharamsala in the Kangra Valley of Himachal Pradesh is a scenic drive from the hustle-bustle of Delhi. One of the best getaways for summer vacation in India, Dharamsala is a beautiful canvas crisscrossed by hilly streams flowing through deodar and pine forests. This Himalayan hill station is the headquarters of Dalai Lama, too. Road trip to Dharamsala is a must for biking enthusiasts. [pullquote]Check our infographic on the unforgettable story of Chittorgarh Fort. [/pullquote] Chittorgarh in Rajasthan is one of the best destinations for weekend road trips from Delhi. Though a large portion of the Chittorgarh Fort is in ruins, the story of the fort will not fail to haunt you once you step into the fort complex. The timeless tales of Rajput rulers’ valor and Rajput women’s spirit of sacrifice in Mewar are worth 7-hr driving from Delhi to Chittorgarh. 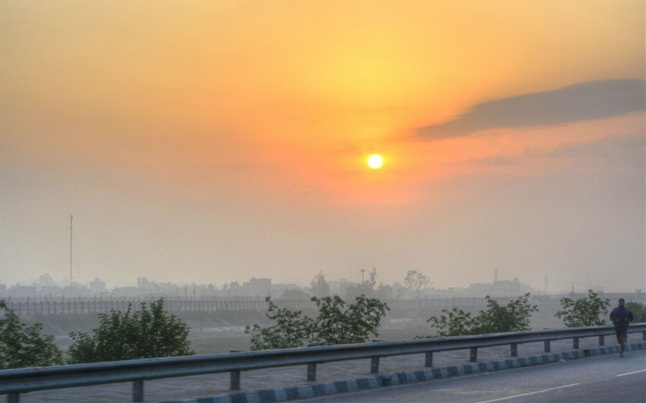 Driving to Chandigarh from Delhi is an adrenalin drive for bikers. The Grand Trunk Road is the main route to Chandigarh from Delhi, giving access to Shimla and Kasauli, two most popular hill stations in Himachal Pradesh. 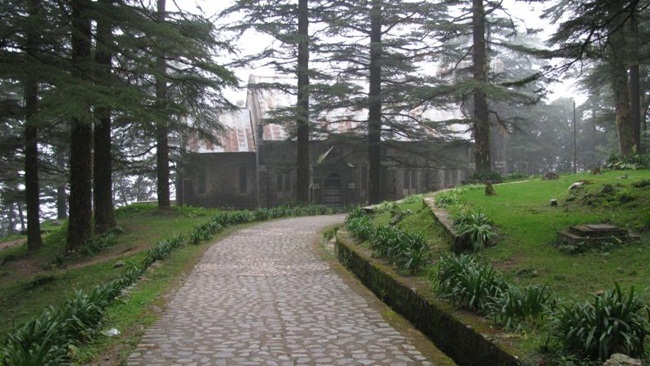 Both Shimla and Kasauli are 2-3 hour pleasant drive from Chandigarh. It is safe not to venture out for a bike trip to Chandigarh or Shimla in the thick of winter. 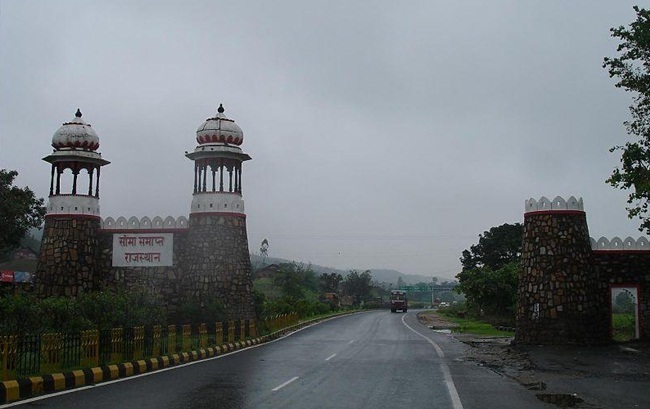 Biking or driving to Alwar from Delhi is an adventurous experience. Alwar is one of the princely states in Rajasthan. Visit to Sariska, one of the most famous tiger reserves in India, is worth a road trip from Delhi to Alwar. The month of February / March is the best time to visit Sariska because tigers are the likeliest to be sighted this time. You can halt to see the haunted Bhangarh Fort on the way. 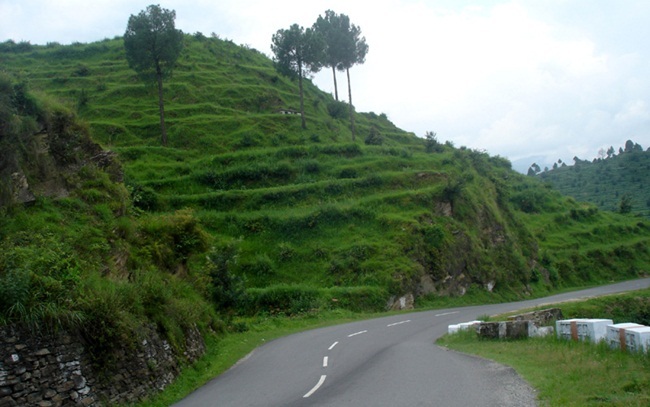 Driving to Nainital is an escalating ride across high altitudes in Uttarakhand. No provision for air travel or train travel between Delhi and Nainital has made road trip to Nainital a must for bikers. Nainital Lake and Jim Corbett National Park are the best tourist attractions of this hill station at a drive of 285 km via roadway from Delhi. 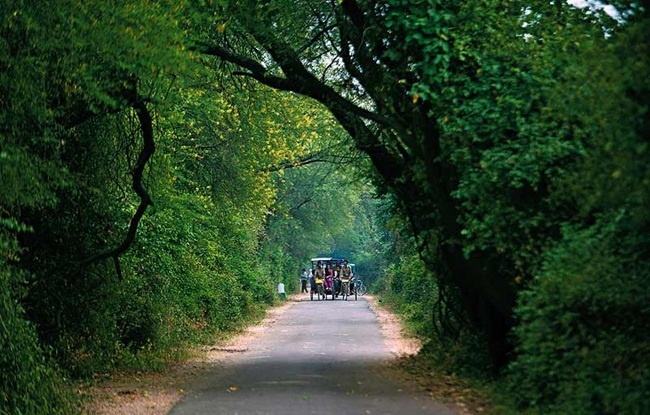 Jim Corbett National Park is the oldest park in India. Ranthambore is a paradise of natural beauty in Rajasthan and home to one of the most famous national parks in India. Located in Sawai Madhopur, the Ranthambore National Park and Tiger Reserve used to be a favorite haunt of the Rajput kings of Jaipur. The park is wildlife photographers’ delight, too, because of its scenic landscape and rich wildlife. Evidently, bikers brim with enthusiasm for road trip to Ranthambore from Delhi. 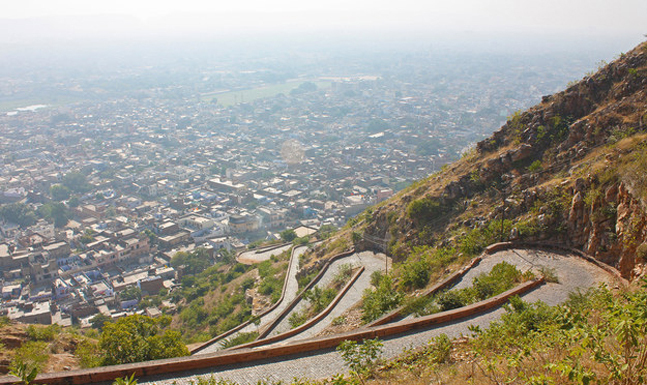 Of the historic cities in Rajasthan, Ajmer is worth several road trips from Delhi. 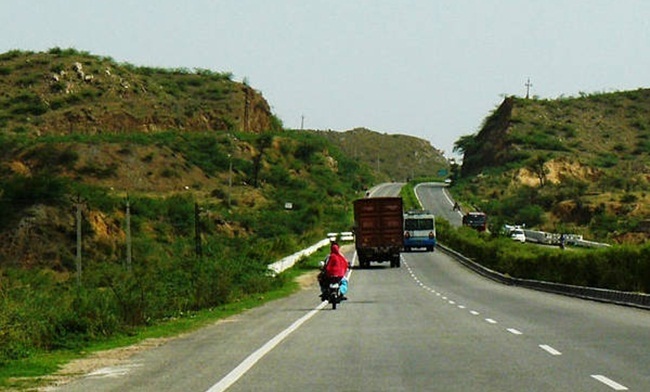 A 5-hr ride on bike, Ajmer is nearer than other cities to Delhi. Nestled amidst the Aravalli Mountains and founded by Ajayraj Singh Chauhan, Ajmer still carries palpable influences of the Chauhan Era in Rajasthan. The city is famous for its age-old artistry and the Ajmer Dargah. Almora is a gateway to adventure and sports tourism in the Himalayan region of Uttarakhand. One of the summer capitals in the Himalayas, Almora offers a springboard of outdoor activities including trekking and rock climbing. Many bikers, adventure lovers and sports enthusiasts from Delhi make road trips to Almora. Driving to Almora is much of an obsession with seasoned bikers and young road trippers. The Indian state of Uttar Pradesh has many destinations for bikers from Delhi. Road trip to Mathura from Delhi is not just an adventuresome drive but a way to seek solace in spirituality since Mathura being birthplace of Lord Krishna is a glorious destination for pilgrimage. Mathura is a must visit on the occasion of Janmastami in August or September. Attend the magnificent pooja ceremony and get blessed with delicious Prasad during Janmastami in Mathura. Indian Eagle, a leading USA-based travel booking organization, books cheap flight tickets to India and helps tourists fly to India at the lowest airfare throughout the year.